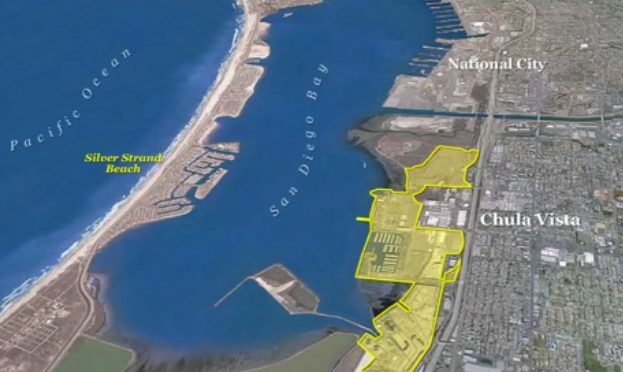 The Port of San Diego invited developers Monday to demonstrate they have the money and ability to build a hotel and convention center on Chula Vista’s waterfront. The port’s request for qualifications comes six years after similar plans fell apart. The next stage in the vetting process will be identifying a hotel brand and operator. In November 2008, Tennessee-based developer Gaylord Entertainment abandoned a $1 billion plan to build a 1,500-room hotel and convention center complex on the waterfront. The company, which runs the Grand Ole Opry, cited financial challenges after negotiations with organized labor stalled. It was unclear whether Gaylord would participate in the request for qualifications. The port is working off a master plan for the Chula Vista waterfront that was approved by the California Coastal Commission two years ago. The port and city government have formed a joint powers authority to handle governance, infrastructure financing, and some capital funding for the convention center portion of the project.